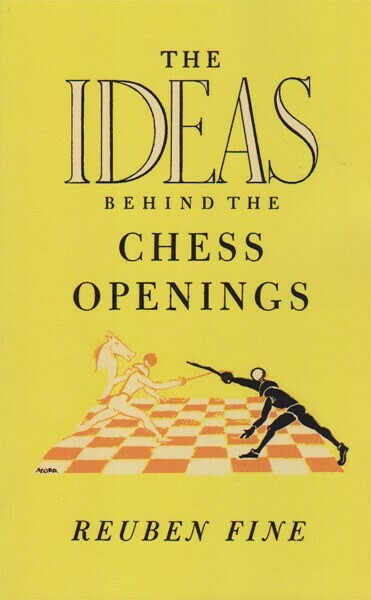 This book presents the indispensable foundations for the understanding of the variations of the chess openings. It has been said that ideas are weapons. That is certainly as true in chess as in any other field. A mastery of a little theory which conveys real understanding of the game is infinitely more valuable than a carefully memorized compilation of endless moves. Paradoxically, a thorough grasp of the ideas behind the openings, which are relatively few in number, is a royal road to knowledge which eliminates much of the drudgery associated with remembering a long series of variations. The object in this work is to present the necessary "ideology" as concisely as possible. This is one of the great classic works on chess by one of the strongest chess players in history. All too often the most recent chess books are just database dumps based on millions of chess games. Our young chess players often undertake the task of memorizing thousands of variations. Let me let you in on a little secret: The world's leading chess grandmasters do not memorize thousands of opening lines. Rather, they study and work them out. They remember the ideas behind the moves, not necessarily the moves themselves. Once they recall the reasons for the moves, they can work out and re-discover the best moves themselves. There are many new moves and opening variations that have become popular and fashionable since this book was published. However, the ideas behind these openings have remained the same. This book is just as valid as when it was first published. Reuben Fine was one of the world's strongest grandmasters of chess. Reuben Fine was both one of the world's strongest grandmasters of chess and one of the world's leading authorities on psychoanalysis. Reuben Fine (1914-1993) was remarkable not merely for having two successful careers, but for achieving top levels and being world renowned in both fields. Fine took up chess in his youth, became a master as a teenager and at age 17 won his first of seven US Open Chess Championships. He was invited to the great masters tournament in Pasadena 1932, won by World Champion Alekhine, one of the strongest tournaments ever held in the United States. Fine's victories in a series of European tournaments in 1936 and 1937 established Fine as a top contender for the World Chess Championship. This led to his greatest result ever, his tie for first in the strongest chess tournament ever played, AVRO 1938, a double round-robin tournament to determine who would be the next challenger to World Champion Alexander Alekhine. Fine tied with Paul Keres, won more games than anybody, and finished ahead of future champion Mikhail Botvinnik, current champion Alekhine, former world champions Max Euwe and Capablanca, and Grandmasters Samuel Reshevsky and Salo Flohr.